When it comes to habits like teeth brushing, Millennials are not as conscientious as older generations, a new study of Americans reveals. 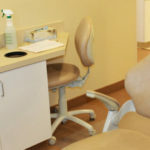 The study also shows that younger people have a great deal of anxiety about going to the dentist. Unfortunately, skipping brushing means that oral health worsens, and Millennials are more likely to have to visit the dentist for problems that are more painful, more expensive, and harder to fix than a routine dental cleaning would be. The results of this study, conducted by OnePoll for Hello Products, found that 30 percent of the 2,000 people surveyed only brush their teeth once a day, and the average Millennial has gone more than two days without brushing even once. As we’ve discussed before, regular brushing and flossing is vital to keeping bacteria in the mouth under control. When bacteria builds up, it eats away at tooth enamel. Weakened enamel results in cavities. This lack of care isn’t because Americans do not understand the importance of brushing. They know that skipping brushing will cause problems, and they do not want to confront those problems. Sixty-two percent of respondents said they were, in fact, too afraid to see a dentist, and Millennials were more afraid than people in other generations. Only 24 percent of people over age 55 felt uncomfortable seeing the dentist. The results of this study tally well with a study that the American Dental Association did in 2017. That study found that 33 percent of Americans aged 18 to 34 were reluctant to smile. 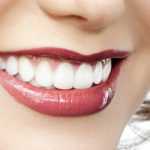 One in five people in this age group has actually cut back on social activities because they are too conscious of their teeth, and 28 percent said that the state of their oral health has affected their ability to interview for a job. Millennials are the least likely demographic to visit a dentist and the most likely to have untreated tooth decay. The saddest part about both of these studies is that they reveal that Millennials’ lives are negatively impacted in multiple ways by their poor oral health. It affects both their self image and their actual health. Many live in pain because of untreated problems. We at Dental Associates of West Michigan encourage everyone to go to a dentist to get treatment for cavities, dental pain, or other problems. Dentists do not want anyone to suffer because they are embarrassed and ashamed. We are not here to judge, but to help, and we will keep you as comfortable as possible while we are doing so. Regular dental care – at home and in the dentist’s office – is what will keeps teeth healthy and in place well into old age. If you have an untreated dental problem, it’s never too late to make an appointment. Call your dentist today.